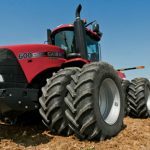 FPT Industrial will be present within the Case IH exhibit at the 2017 Farm Progress Show and feature engines that power agricultural machinery. The Farm Progress Show is the largest outdoor farm event in the United States: from the 29th until the 31st of August farmers, agribusinesses and brands will gather from all over the US and around the world to discover the agriculture industry’s newest developments in equipment, technologies, products and services. 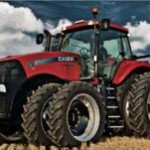 FPT Industrial and Case IH, sister brands within CNH Industrial, collaborate together for this event and celebrate the 175th anniversary of the Case IH brand. Visitors to the Case IH exhibit can discover four different FPT engines: three from the Cursor family – Cursor 9 (8.7L), Cursor 13 (12.9L) and Cursor 16 (15.9L) – and one from NEF, the N67 (6.7L). 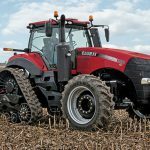 These engines power Case IH tractors, harvesters, sprayers, floaters, windrowers, and the new combination applicator – Trident 5550. 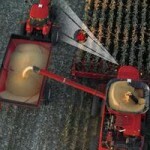 Case IH equipment incorporates a SCR-only after-treatment system developed by FPT Industrial, the first technology of its kind to achieve Stage IV and Tier 4 Final emissions regulations without a diesel particulate filter (DPF), no Exhaust Gas Recirculation (EGR), regeneration free and maintenance free. The FPT Industrial Cursor and NEF engine families provide best-in-class performance, low operating costs, maximum productivity, and impressive overall efficiency. 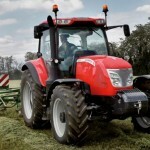 FPT Industrial also provides Case IH with solutions for light duty applications: F5 and R22 are compact and flexible engines that ensure high performance and reliability for Farmall U and C series tractors. 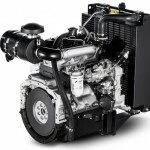 The F5 and R22 feature low operating costs and extremely easy maintenance, due to single side service access. On display at the Case IH exhibit, visitors can view the N67 (6.7L), Cursor 9 (8.7L), Cursor 13 (12.9L) and Cursor 16 (15.9L) engines, which power Case IH equipment including the Puma, Magnum, Maxxum, Optum and Steiger tractor ranges, Axial-Flow combines, Patriot Sprayers, Titan series application equipment and windrowers. Visitors to the Farm Progress Show can learn more about FPT Industrial engines at the Case IH exhibit.